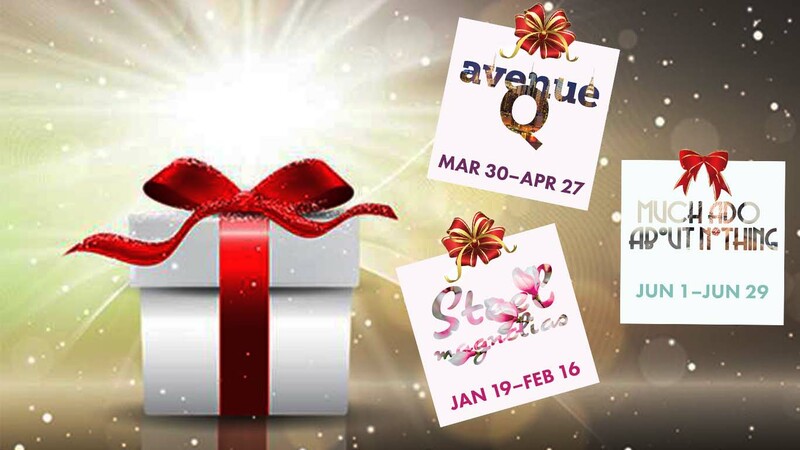 This season's Essential Holiday Bundle grants you tickets to our remaining shows- Steel Magnolias, Avenue Q and Much Ado About Nothing- for only $85! That's 15% in savings! Get yours now before it's too late.